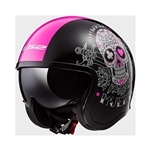 Ladies motorcycle helmets & half helmets from Leather Bound range from DOT full face to beanie & novelty styles, are always built to ensure you remain safe and stylish. It is important that you choose a good fitting helmet that meets your riding needs. Women's motorcycle helmets should fit snug on the head and should not be able to move around or air will catch the helmet while you ride. 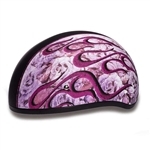 Choose a style bases on your needs weather it is a full protection full face helmet with all the bells and whistles or a girly lightweight novelty motorcycle helmet that is not DOT approved. If your in the area we recommend you stop in our Pennsauken, New Jersey location and let one of our staff members help you find the perfect fit. 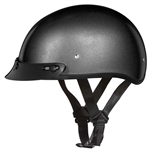 And before placing your order, check out our full line of motorcycle helmets, including helmets for men & children. 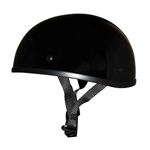 **During peak season (04/01 - 08/01) there may be a short waiting period for helmets of approx. 1-2 weeks. In the event that it will take longer to process your order we will contact you.